I love the Henri Bendel foldover bag! 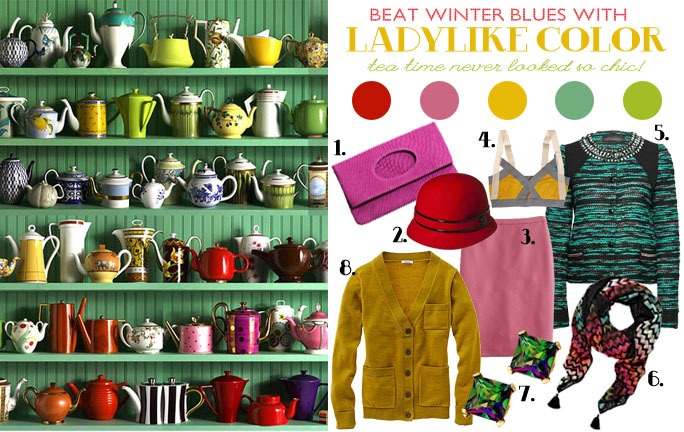 I love all of the tea pots! How amazing! those are amazing tea pots...now to find a place for ALL of them! what a cute and clever comparison!